This year will be the 5th annual Broccoli City Festival - and RebelsMarket will be there to join in the fun! Launched in Spring 2013, Broccoli City Festival has gathered over 35000 people in the spirit of Earth Day, health, sustainability and economic development. A week long incubator for all who strive to create a better world. Broccoli City week will host a variety of events leading up to the festival, everything from city runs, to community action events, to an all night art escape, culminating with the all-day Broccoli City Festival. 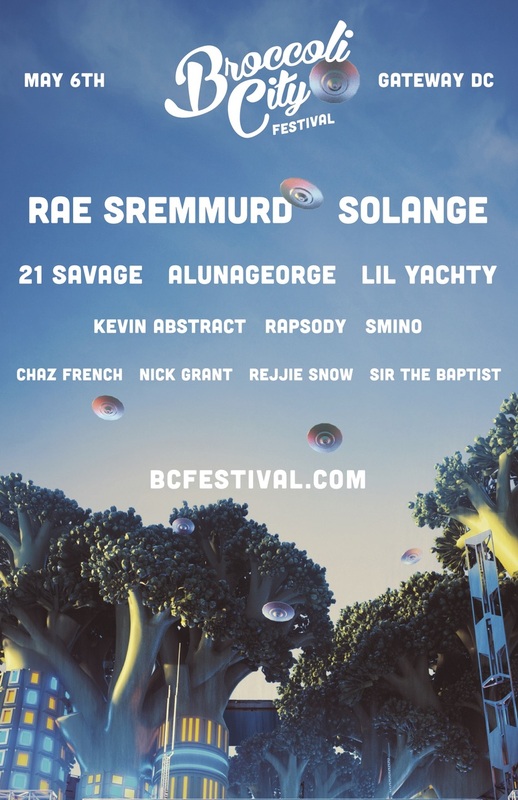 Performers include Rae Sremmurd, Solange and 21 Savage - with plenty of other acts too. The Broccoli City Festival will kick off on May 6 at Gateway DC. Ticket are on sale on the official website here, and you can check out the full lineup below. RebelsMarket Is Going to Bumbershoot 2015 In Seattle!